The SCT, Mexico’s federal transportation department, selected TransDevelopment de México to provide conceptual planning for the rail bypass around Celaya, Mexico—one of Mexico’s largest rail bypass projects. Celaya has long been important in Mexico as an intersection of the country’s two largest railroads: Kansas City Southern de México and Ferromex. Prior to the Bypass project, the railroads crossed a congested diamond in the center of Celaya, which created significant rail delays and blocked at-grade crossings for long periods. The Bypass project includes over 30km of new mainline. TransDevelopment identified optimal corridors and provided design criteria for project elements. An industrial park and interchange yard was planned in the southeast quadrant of the bypass, which contains new mainline for both railroads. 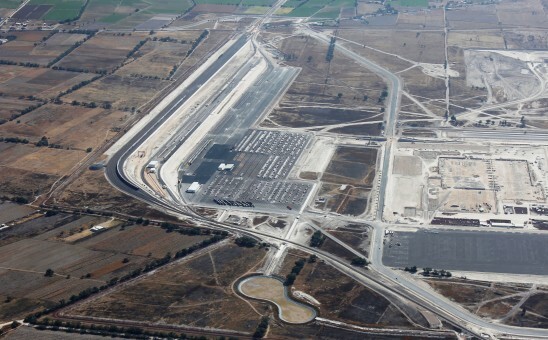 In March 2012, Honda began construction on a new, $800 million assembly plant in the industrial park, and selected TransDevelopment de México as Development Manager for the inbound and outbound rail facilities. Below is a Spanish-language promotional video for the Celaya Rail Bypass, which was created by TransDevelopment.